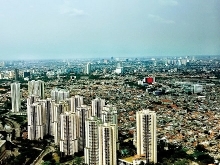 Indonesia intends to join the Trans-Pacific Partnership (TPP) trade deal, Indonesian President Joko Widodo said at a meeing with US President Barack Obama on Monday. 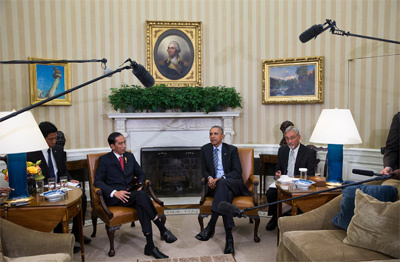 Obama praised Widodo for moving Indonesia in the right direction and expressed willingness to cooperate with Indonesia. This was the first time Indonesia announced its serious intention of joining the TPP trade deal the US has forged with 11 other nations. During the meeting, both leaders discussed issues related to the Islamic State, climate change, marinetime security including East Sea tensions. Both sides also discussed the importance of the cooperation within the framework of ASEAN and East Asian forums to cement international law and order in the face of some countries’ behaviors in maritime navigation./.